Some of the first research connecting creativity with mental illness was conducted in 1987, when Dr. Nancy Andreasen of the University of Iowa noticed a higher occurrence of bipolar disorder in study participants from the Iowa Writers Workshop than in a control group. A decade later, Dr. Arnold Ludwig of the University of Kentucky examined the relationship between mental illness and cultural influence through a retrospective study; his findings indicate that people in artistic professions are more likely to have mental illnesses than those in non-creative professions. More recently, researchers have considered links between the neurological similarities of mental illness and the creative mind. In particular, illnesses such as bipolar disorder and schizophrenia appear to be focused within the frontal lobe of the brain. Aberrant activity in the frontal lobe likely to cause a person to make peculiar connections — the same types of connections often found in poetry and other forms of creative writing. Fittingly, Plath is the first entry on our list of writers who suffered from mental illness. This list details a few authors who have ascended to greatness, but who, whether privately or publicly, also suffered from what were often debilitating mental illnesses. Pound was placed in a hospital for the criminally insane following his 1945 arrest for treason. During his 13-year stint at the hospital, he was formally diagnosed with narcissistic personality disorder (NPD). While NPD is not considered a major mental illness, it may have influenced much of the poet’s work and certainly his behavior. Pound was outspoken about his ideas on poetry and politics, and some critics have credited his development of the ideogrammatic method with NPD. Pound was also diagnosed with schizophrenia, though it is debatable whether or not he was truly afflicted with the illness. Tolstoy produced an insightful book in which he explores his own depression and general discontentedness toward his contemporary world: A Confession. Noticeable signs of depression didn’t strike Tolstoy until middle age, but the illness came on with a vengeance. The author considered becoming celibate, questioned his religious beliefs and began giving away his possessions so that he could live like a peasant. For Tolstoy, rumination — a cornerstone of major depressive disorder — accounted for his evolving ideas on philosophy, life and art. Correlation studies show that both those in the creative arts and those with depressive disorder spend an inordinate amount of time contemplating their own distress. 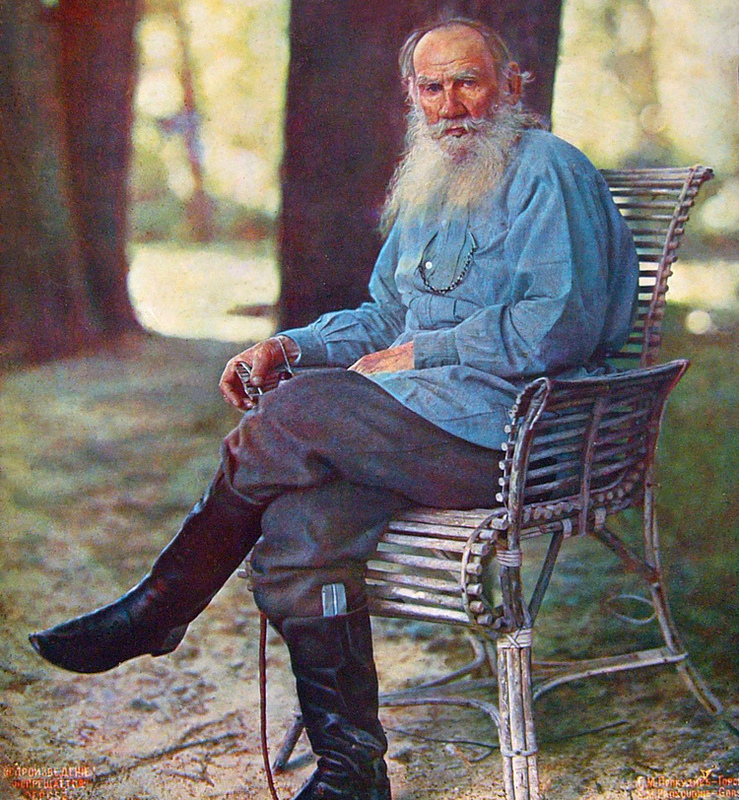 At one extreme point, Tolstoy even considered himself a moral failure because he lacked the courage to commit suicide: “The possibility of killing himself has been given to man, and therefore he may kill himself.” But ultimately the author found god, overcame his existential malaise and gave up the notion of suicide, living to the age of 82. Woolf had her first bout with depression at the age of 15, battling it throughout her life — even being hospitalized in 1904 to treat the illness. Her creativity was frequently compromised by intermittent mood swings punctuated by sleeplessness, migraines and auditory and visual hallucinations. In his book Hallucinations, Oliver Sacks suggests that hallucinations are often accompanied by migraines that lead to bizarre visual phenomena; such visions, he claims, may have served as inspiration for many artists. A more specific connection between Woolf’s experiences with mental illness and her creative work can be found in her criticism of medical establishments in Mrs Dalloway, which may reflect her own ineffectual treatments during the 1920s. Sadly, Woolf eventually committed suicide in 1941. Depression, borderline and narcissistic personality traits, bipolar disorder and, later, psychosis coalesced to create Hemingway’s personal hell. Rather than turning to physicians or therapists for help, Hemingway used alcohol, engaged in risk-taking sportsmanship activities and wrote to cope. The author’s mental and physical health deteriorated so rapidly during the last years of his life — primarily due to alcoholism — that he finally accepted electroshock treatments in 1960. A 2009 article published by the Association for Psychological Science revealed research that showed a definitive link between creativity and the neuregulin 1 gene, which is also closely associated with psychosis. Having hailed from a family with a long history of mental illness — among them bipolar disorder, unexplored “nervous disorders,” depression and bulimia nervosa — suicide was not uncommon in the Hemingway bloodline and Ernest took his own life in 1961. The debate continues on whether a definitive link exists between creativity and mental illness. Skeptics suggest that any relationship between the two is coincidence rather than causal. They argue that great art can be, and has been, produced by artists without mental illness, thereby eradicating the validity of a tie between it and genius. Instead, they claim extant mental illness for those in creative fields is, at best, only indirectly linked. Kim McCann is a former industrial/organizational psychologist and current professor of psychology at Southern New Hampshire University, with specialization in research methods and philosophical and theoretical psychology. She is also a published non-fiction and creative writer, and a graduate of Morehead State University and Cornell University. Dr. McCann despises ladybugs.